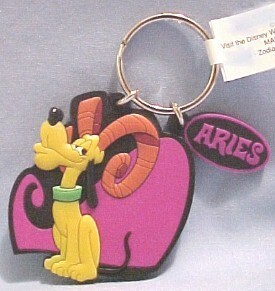 Pluto on Disney's Aries Keychain. Disney's Pluto on this Aries keychain.. Wallpaper and background images in the Keychains club tagged: pluto airies zodiac disney keychain keyring. Awww so this is me lol ! I'm stuck with Twiddle Dee and Twiddle Dum on mine lol!